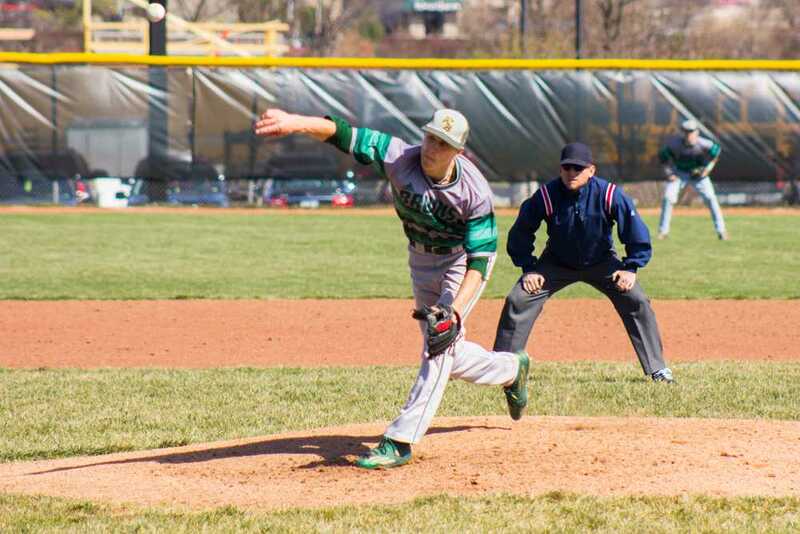 Yesterday, April 6, the baseball team kicked off the West-Central Missouri Baseball Classic, a tournament with many familiar competitors for RBHS. To start off the tournament, RBHS first faced Oak Grove. The Bruins, who batted first, started off slow but managed to pick up speed when senior Andrew Whitaker put the first point on the scoreboard, giving RBHS a 1-0 lead. The move invigorated the team’s performance, as the game turned out to be an 11-0 routing of Oak Grove. After the fiery victory, RBHS took on Smith-Cotton, a familiar school for the team. In the first inning, Smith-Cotton managed to gain a 3-0 lead against RBHS. The tide of the game, however, quickly turned in favor for the Bruins, in part due to back-to-back doubles from senior Jack Widhalm. RBHS managed to use their newfound momentum to gain the lead, which Smith-Cotton was unable to overcome throughout the rest of the game. Yet again, RBHS walked away the victors with a 14-12 win. Later today, the Bruins will face Ray-Pec and Ozark, the next teams on their list, at 2:30 p.m. and 4:45 p.m., respectively. Tune back onto BearingNews for further updates.